Mollie has spent the past 24 years as the head of her own Boston-area design firm, Mollie Johnson Interiors. Currently based in Wellesley, MA, Mollie attributes the influences of her aesthetics to her worldly and diverse background. Having spent her childhood in Paris and Berlin and her adolescence in Charleston, South Carolina, Mollie's style is rooted in her Southern heritage and refined by her European upbringing. Mollie was educated in both the Fine Arts and Design at Hollins University in Virginia and at the Mt. Vernon School of Design in Washington. 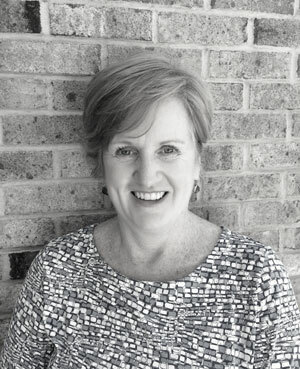 In Spring 2007, Mollie received the ASID Presidential Citation Award, and was appointed to Boston’s first “Design Dream Team” hosted by the Boston Design Center. Mollie also formally served on the Board of The Marino Center for Integrative Health, and Chaired the Nominating Committee. Kathy has joined the staff at Mollie Johnson Interiors, bringing with her more then 20 years of experience in the design industry. While studying Interior Design at Chamberlayne School of Design she worked at the Brunschwig & Fils showroom. After graduating with a Bachelor of Science, Kathy joined one of the prestigious design firms in Boston as a project manager working on numerous projects in the Boston area and Palm Beach. As a project manager, Kathy implements and oversees projects from conception through final installation, while providing clients with the highest level of customer service. Jenifer has been working in the Interior Design field since 1999, and has worked at some of Boston’s most notable architecture and interior design firms. She is passionate about residential design and improving the environments in which people live. She takes equal pleasure in the early architecture and space planning phases of a project and the selection of fabrics, furniture and accessories. Jennifer has enjoyed working on several large scale projects in the New England area from Cape Cod up to Cape Elizabeth Maine. Jennifer is a graduate of Union College where she earned degrees in English Literature and Modern Language. She also has a Master’s Degree in Interior Design from The New England School of Art and Design at Suffolk University.